Elizabeth McCracken has won the Presidential Award from the New England Independent Booksellers' Association! Given by the NEIBA Board President for lifetime achievement in arts and letters, this is quite an astounding accomplishment. Elizabeth McCracken is the author of a story collection, Here's Your Hat What's Your Hurry; two novels, The Giant's House, a finalist for the National Book Award in 1996, and Niagara Falls All Over Again; and a memoir, An Exact Replica of a Figment of My Imagination. 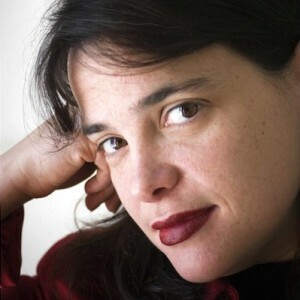 A 1990 graduate of the Iowa Writers' Workshop, she has been recipient of grants from the Michener/Copernicus Foundation, The Fine Arts Work Center in Provincetown, and the NEA and was named one of the twenty Best Young American Novelists by Granta.